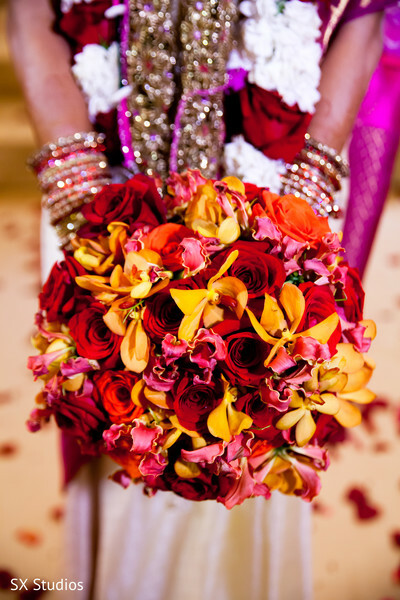 It's always an exciting day in the Maharani Weddings' office when a Sonal J. Shah Event Consultants planned and designed event comes our way, and you can clearly see why in these phenomenal pics by SX Studios. 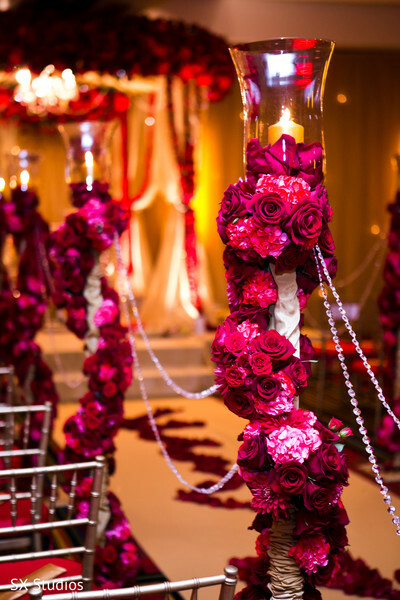 Today's Indian wedding features some truly lavish floral and decor by Atlas Floral Decorators Inc. — there's no shortage of romantic red roses at this stunning event! 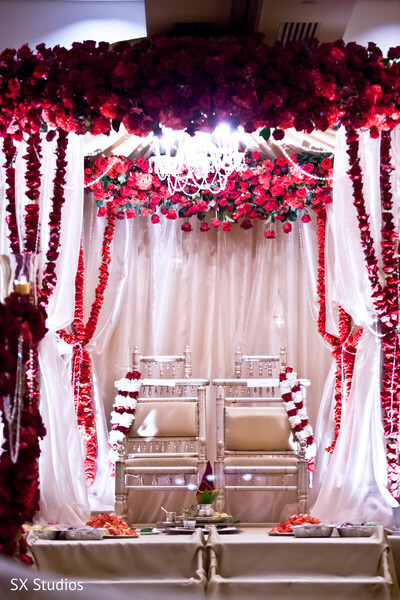 They make a beautiful addition to the aisle and frame the incredibly gorgeous mandap in major Maharani style. 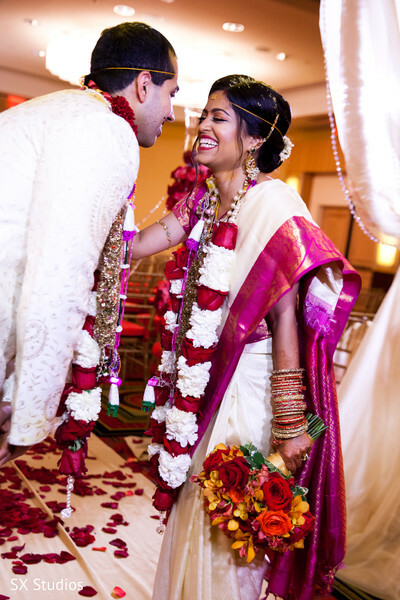 Our South Asian Bride is a blushing beauty in her ivory-colored wedding sari with iridescent magenta accents. 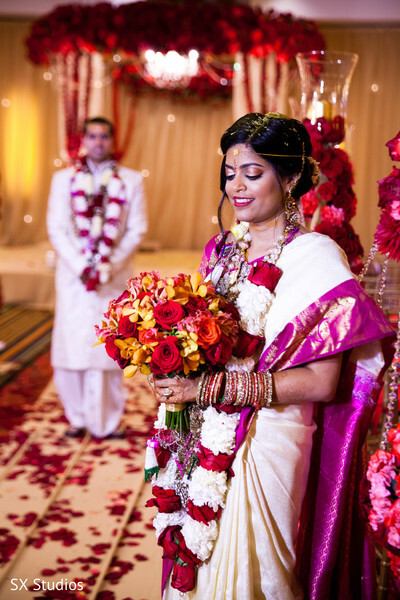 Her flawless hair and makeup by Cinderella Bridez complements her bridal look with effortless beauty. She also treated her bridesmaids to a professional beauty session with Priti Shah, to help ready them for her big day. 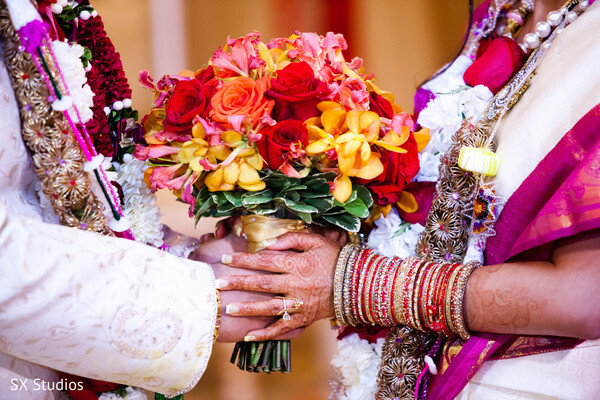 There's so much more to see from this event, including reception portraits and an unforgettable post-ceremony party with Indian fare by Moghul Caterers and musical entertainment by DJ Manan. Make your way into the gallery for some pre-wedding celebration details and even more fashion inspiration from our bride! See you gals in just a bit for some serious reception highlights! 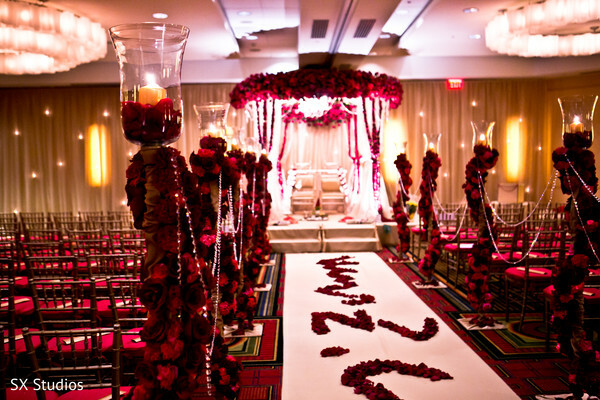 Sonal J. Shah Event Consultants and Moghul Caterers are members of the Platinum Guide. Love what you see? Explore their portfolios.